Remember when air travel was a classy affair, with people dressing in their finest clothes, and enjoying roomy seats and good food? While those days are long behind us, Delta Air Lines is trying to class things up a bit with the introduction of their all-new Airbus A220-100. 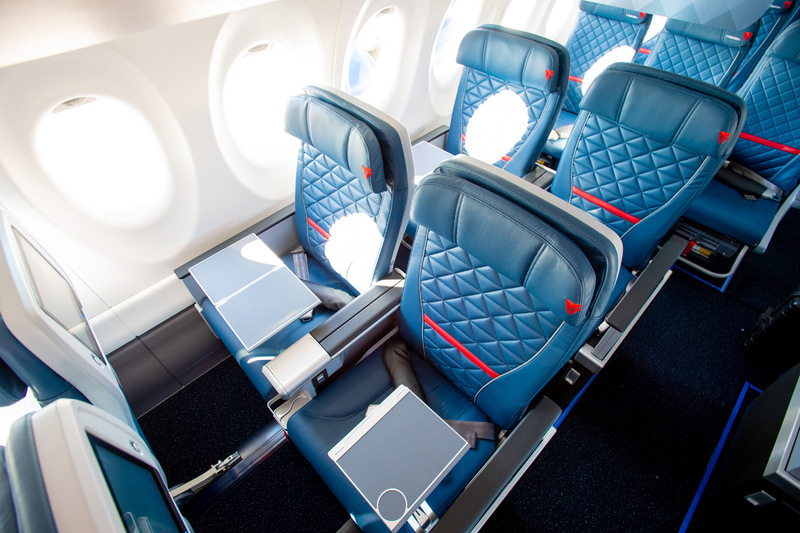 Delta’s A220 plane is “experience-rich for customers,” with seven-foot ceilings, substantially wider seats, and more legroom than any previous Delta plane. Narrow indentations have been built into the walls in order to give folks in window seats some more shoulder space, and the entire cabin offers LED spectrum lighting, allowing the crew to alter the color and brightness of the lights in response to various moods or times of day. But that’s not all. 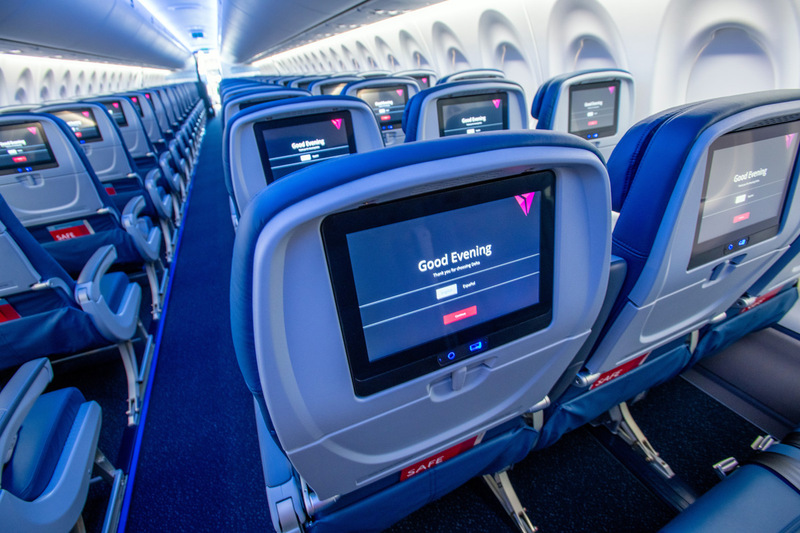 While there are television screens installed in each seatback, along with 2Ku satellite Wi-Fi (reportedly the fastest in the entire fleet), the thing we’re most excited about is the fact that this plane offers a restroom with a window. That’s right people. 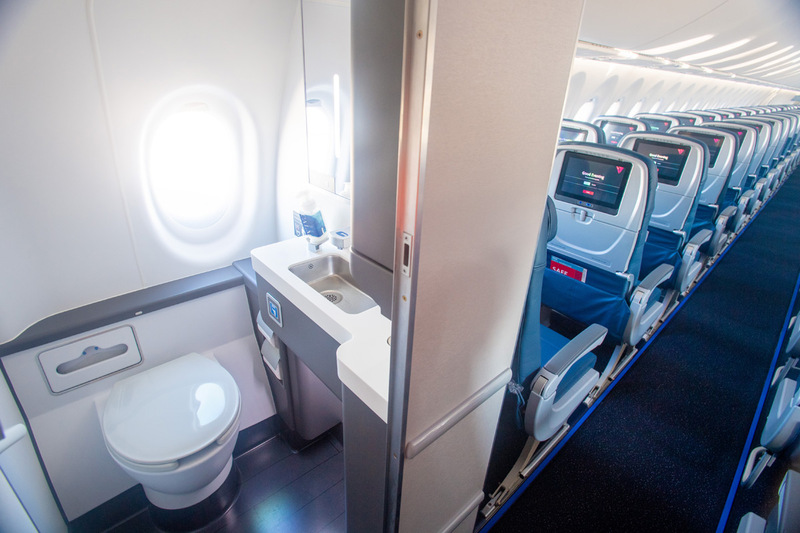 So whether you’re peeing, pooping, or joining the mile-high club, you can enjoy the scenic view from 30,000 feet. Seriously, how crazy is that?! 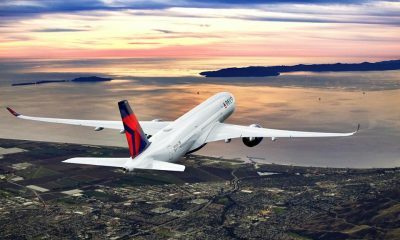 If you want to experience Delta’s A220 for yourself, flights will begin on January 31st, initially flying from New York’s LaGuardia to Boston and Dallas/Ft. Worth. 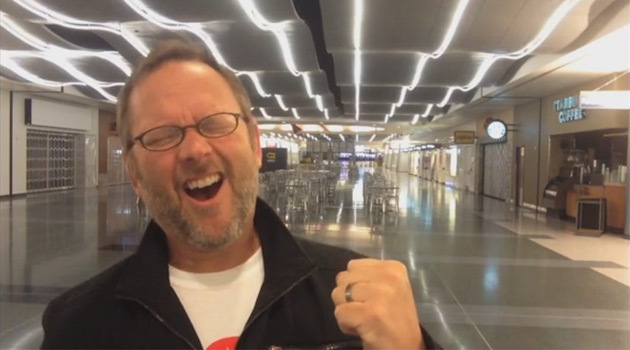 Future destinations include Detroit, Houston, Salt Lake City, Minneapolis, and JFK. 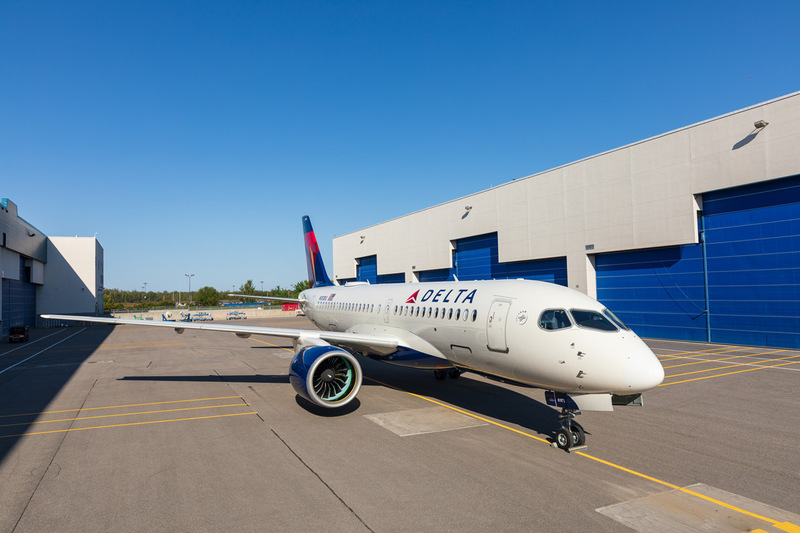 “The A220 represents our continued work to make flying better for everyone and represents the go-forward objectives of our fleet strategy,” said Gil West, Delta’s Senior Executive Vice President and Chief Operating Officer.